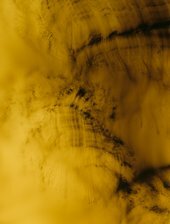 Born in 1968 in Remscheid, Germany, Wolfgang Tillmans became known in the 1990s for his photographs of everyday life and contemporary culture and for his pioneering method of displaying prints as whole-room installations. While these elements remain central to his practice, he has expanded his activity since then to include video, publications, sculptural pieces, curatorial projects, performance and recorded music, as well as increasingly experimental approaches to image-making. 2017 is not a retrospective. Each room in the exhibition has been specially configured by Tillmans as a personal response to the present moment. Ever conscious of his role as an artist, his works engage us with themes of community and sociability, empathy and vulnerability. The majority of the works on display have been produced since 2003. 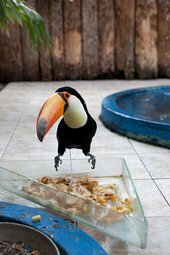 It was at this time that global events prompted Tillmans to address different sets of political and social concerns in his work. It was also from the mid-2000s that he began to examine how the cultures around new technologies – from the proliferation of online news outlets to digital cameras that enable us to see subjects in unprecedented detail – increasingly shape our understanding of the world today. The photographic prints in this exhibition are from the artist’s studio collection and correspond to those held in private and public collections around the world. Other works in this room reflect on digital printmaking and photography today. For example, the technical ability to photograph a nightscape from a moving vehicle without blurring, as in these images of Sunset Boulevard, is unprecedented. Itself the subject of many famous art photographs, this iconic roadway appears here littered with large format inkjet prints in the form of advertising billboards. In Double Exposure 2012–13 Tillmans juxtaposes images of two trade fairs - one for digital printers, the other for fruit and vegetables. Encounter 2014 shows a different photo-sensitive process. A pot had been left on top of a planter preventing light from reaching the sprouts underneath and leaving them white, while the surrounding growths that caught the daylight turned green. These works made around the studio demonstrate Tillmans’s concern with the physical process of making photographs, from chemical darkroom processes and their potential to create abstract pictures without the camera, to digital technology that is vital to the production of contemporary images, and the paper onto which they are printed. Tillmans’s understanding of the material qualities of paper is fundamental to his work, and photographs can take on a sculptural quality in series such as Lighter, 2005–ongoing and paper drop, 2001–ongoing, seen later in the exhibition. 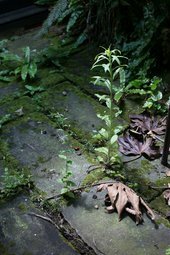 Having spent the preceding decade working largely on conceptual and abstract photographs, in 2009 Tillmans embarked on the four-year project Neue Welt. Looking at the world with fresh eyes, he aimed to depict how it has changed since he first took up the camera in 1988. He travelled to five continents to find places unknown to him and visited familiar places as if experiencing them for the first time. Interested in the surface of things as they appeared in those lucid first days of being in a new environment, he immersed himself in each location for just a brief period. 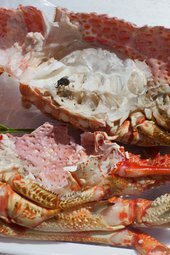 Now using a high resolution digital camera, Tillmans captured images in a depth of detail that is immediately compelling, but also suggests the excess of information that is often described as a condition of contemporary life. Communal spaces, people, animals, and still-life studies of nature or food are just some of the subjects that feature in Neue Welt. Seen together, these images offer a deliberately fragmented view. Rather than making an overarching statement about the changing character of modern life, Tillmans sought only to record, and to create a more empathetic understanding of the world. Over the course of the project, however, some shrewd observations about contemporary worldviews did emerge. One related to the changing shape of car headlights, which he noted are now very angular in shape, giving them a predatory appearance that might reflect a more competitive climate. Like the Silver works in the previous room, the abstract Greifbar 2014–15 images are made without a camera. Working in the darkroom, Tillmans traces light directly onto photographic paper. The vast swathes of colour are a record of the physical gestures involved in their construction, but also suggest aspects of the body such as hair, or pigmentation of the skin. This reference to the figurative is reflected in the title, which translates as ‘tangible’. Playback Room is a space designed for listening to recorded music. The project first ran at Between Bridges, the non-profit exhibition space Tillmans opened in London in 2006 and has since transferred to Berlin. In three exhibition (‘Colourbox’, ‘American Producers’ ‘Bring Your Own’) that took place between September 2014 and February 2015, he invited visitors to come and listen to music at almost the same quality at which it was originally mastered. An acute awareness of fragility endures across Tillmans’s practice in all of its different forms. Often this is expressed in his attentiveness to textures and surfaces. 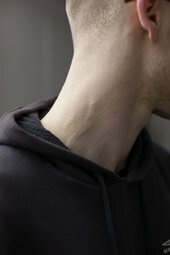 Collum 2011 is taken from Central Nervous System 2008–13, a group of portraits featuring only one subject, where the focus on intimate details, such as the nape of the neck or the soft skin of the outer ear, both emphasises and celebrates the frailty of the human body. The focus on a very few works in this room serves as an example of Tillmans’s varied approaches to exhibiting his prints. Though best known for installations comprising many pictures, he always places emphasis on the strength of the individual image. By pinning and taping work to the wall, as well as using frames, Tillmans draws attention to the edges of the print, encouraging the viewer to interact with the photograph as an object, rather than a conduit for an image. 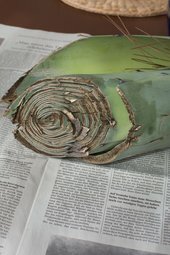 In still life, Calle Real II 2013, a severed agave chunk is placed on a German newspaper article describing the online depiction of atrocities by Islamic State. The image is as startling in its depiction of the finest green hues as it is in capturing how, simultaneously, we taken in world events alongside details of our personal environment. Disconcertingly, this insubstantial body is slightly out of sync with the fleshly one. It is a ghost, a shade, the specter that drives us all. The ease with which we want to believe that the two images are connected, even though they were filmed separately, might also act as a reminder to question what we assume to be true.